“The Minton Report” which exposed a toxic waste dump by the multinational company Trafigura that affected108,000 people on the Ivory Coast. The report was kept classified to protect the corporation. 779 Prisoner files from Guantanamo Prison including health reports. We are waging wars in the name of Democracy. For the word “Democracy” to mean anything, the American people know the truth about our military actions abroad, domestic spying at home or the incestuous relationship between corporate giants and governmental agencies. 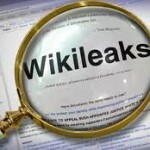 Setting aside the virtues or vices of individuals like Julian Assange and Bradley Manning, whistle blowers may be the only way to get the information we need to be responsible citizens in an irresponsible empire. .
To visit the Wikileaks site, click here. 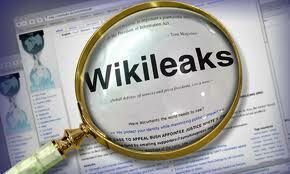 I have come to the conclusion that Julian Assange is the kind of hero that´s required for us to survive. No, it doesn´t hurt that guys like Glenn Beck would love his head on a pike, but if not for guys like Assange, who would let us know these things. I am surprised people on both sides of the isle demonize him for telling us the truth. Thank you Mark. You can tell a nation is sick when it punishes any who would hold up a mirror. We are more upset with whistle blowers than with the fact that we are murdering people abroad.